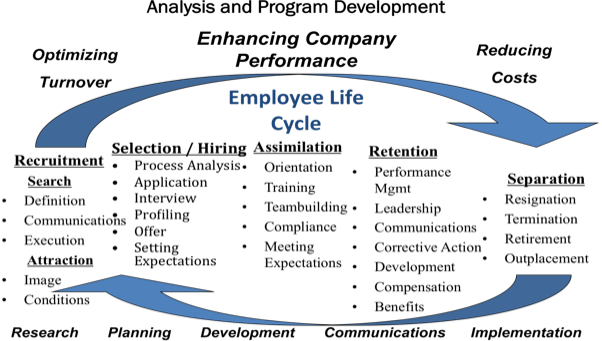 Retaining employees, especially key managers and staff, is crucial to the longterm success of your business. The loss of knowledge and talent coupled with the cost of recruitment, training, loss of performance and customer impact, can have a devastating impact on a company’s bottom line and morale. If retention is good, then turnover must be bad? How do you know if you are doing a good job with retention? What are the most critical factors influencing your retention rate? How are you calculating retention/turnover? build a workable, cost-effective plan, then work with you through implementation.